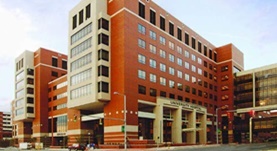 Dr. Johnny W. Scott graduated the University of Alabama School of Medicine in Birmingham in 1975, where he also completed his residency program. He is board certified in nuclear medicine and diagnostic radiology, Head of the Nuclear Medicine Division at the Birmingham VA Medical Center, and is currently affiliated with the University of Alabama Hospital. During his 41 years of medical experience, he wrote together with other doctors, the article “Evaluation of Rare Choroid Plexus Metastasis From Papillary Thyroid Carcinoma With Multimodality Imaging” . Dr. Johnny Scott has contributed to 1 publications. Evaluation of Rare Choroid Plexus Metastasis From Papillary Thyroid Carcinoma With Multimodality Imaging. Manzil, F. F.,Bender, L. W.,Scott, J. W.; Clin Nucl Med. 2013 Jul 19.